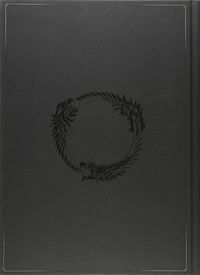 The Morrowind Collector's Edition Strategy Guide (also called the Morrowind Prima Collector's Edition Guide) is the official strategy guide for ESO: Morrowind, published by Prima Games. A Rufous Mudcrab pet DLC! Explore Morrowind with the Rufous Mudcrab! This faithful pet will be by your side as you explore all corners of Tamriel. Character Builds: Hints and advice on constructing effective characters for your adventures in Vvardenfell. Featuring the new class—The Warden. Adventuring Tips and Tutorials: Helpful overviews and information for new and returning players concerning leveling, attack rotations, crafting, and much more! 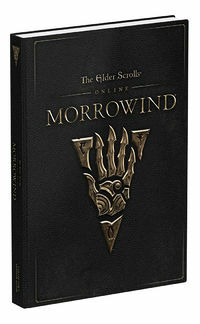 New Stories and Quests: Maps with walkthroughs that pinpoint and describe how to complete all of the new quests and storylines contained in the Morrowind expansion. Free Mobile-Friendly eGuide:' Includes access to interactive maps! Use the enhanced eGuide for strategy on the go, all optimized for a second-screen experience.